Pros: Well-fitted hood, stylish, warm. Cons: Most expensive, not very technical. The Arc'teryx Covert Hoody is a great urban, general use women's fleece jacket. It is warm yet relatively breathable and has a great hood to protect you from sudden cold weather. It is very expensive, so if cost is an issue there are better options. There are plenty of less expensive options with a similar function, like the Marmot Flair Hoody. If you are looking for a jacket that is better in high-heart rate activities, I would go with the Arc'teryx Caliber Hoody. Or if you would like a wind resistant jacket, the Mountain Hardwear Mistral is an excellent option. If you prefer to use a fleece as a midlayer, I would go with the Patagonia R2 - Women's. The Covert Hoody is a warm, comfortable fleece. It has a casual, urban fit to it, so it makes a perfect jacket for wearing around town. It is relatively thick, although the wind seems to cut right through it. The mesh-lined pockets make it surprisingly breathable for its thickness. My favorite feature is the snug fitting hood that comes down onto your forehead, which keeps in extra warmth and doesn't slip off your head like the hoods on typical sweatshirts. Not many of the other fleece jackets had a hood option, so if that is a feature you really want, this would be a great option. This is the most expensive and one of the least versatile fleeces that I reviewed. Its thickness, which does make it warm and cozy, also makes it a little bulky for a mid-layer. The style is more casual and less technical. I would not wear this fleece to go running or out in the mountains. It is a very stylish and a warm jacket to wear around, but for the price I would go with a more versatile option. This fleece is best suited as a casual around town jacket or for other time spent outdoors, like evening walks and kicking around a campsite. Its thickness makes it not the best for running or packing with you all day. It could work as a thicker mid-layer. This is the most expensive fleece I reviewed, but I think it is a durable one. The material didn't snag easily and the laminated pocket zippers are really sturdy. If you would get a lot of use out of it and really like it, it might be worth the price, but if you are on a budget, I would suggest something else. Amazon $139.30 - 30% off! 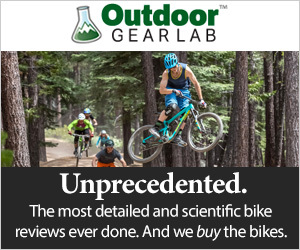 REI $158.73 - 20% off!